"And you shall make a crown of pure gold, and engrave on it in the manner of a signet ring: 'Holy to the L-rd.'" 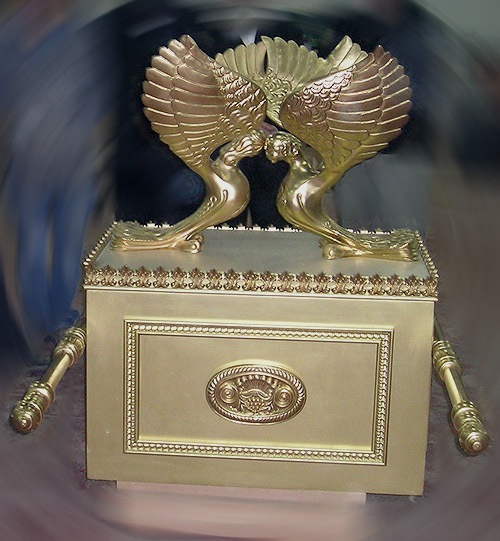 The ark of the covenant is the only object that is placed within the Holy of Holies. Once a year, on Yom Kippur, the Day of Atonement, the high priest enters the Holy of Holies, asking G-d to forgive the transgressions of the entire house of Israel. 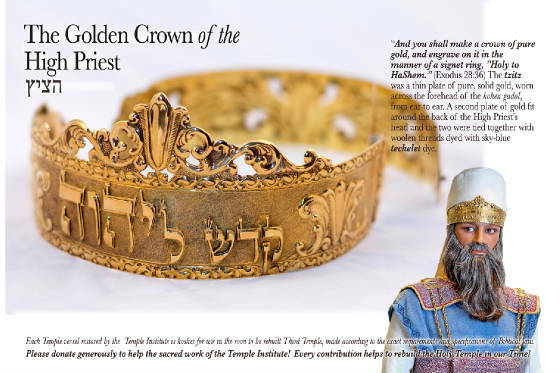 Made of wood covered with gold, it contained within it, during the period of the First Temple, the Two Tablets of the Law brought down from Mount Sinai by Moses, as well as a vessel containing mannah, and the staff of Aharon. Fearing its capture by the invading Babylonians, King Josiah had it removed from the Holy of Holies, and hidden in a chamber deep beneath the Temple Mount. A tradition of its exact location is maintained to this day. The above picture depicts a mock-up made by the Temple Institute for purposes of research and instruction. Pray this prayer of Repentance & Salvation, and ask Christ Jesus to come into your life and Save you from Sin and the Wrath of God. Father God, in the name of Jesus, Thank you for your Son Jesus Christ who died on The cross because of my sins and the sins of this world. I believe that Jesus Christ came to earth, The Holy God in the form of a man, lived, was crucified, hung on a cross, died and was buried, rose up on the 3rd day and that same Jesus Christ was God in the flesh. I believe that Jesus Christ did all this for ME, and I accept Jesus Christ as MY Lord and Savior. 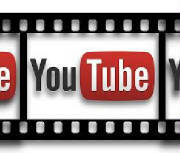 I am confessing with MY own mouth and I do believe in MY own heart that He truly is God. I confess MY sins to you and you alone and I am asking for forgiveness. I am repenting for all the wrong I have done and for dishonoring and disrespecting the Life and Death of MY Lord and Savior Jesus Christ. 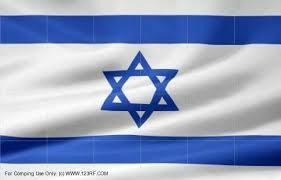 I want to be a part of The Royal Kingdom of God, please forgive and accept me and be MY Lord and Savior Amen.